Just hours before President Trump is set to announce his pick to replace retiring Supreme Court Justice Anthony Kennedy, Senate Minority Leader Chuck Schumer (D-NY) offered a preview of the impact a conservative justice could have on the court, including rolling back abortion rights or the Affordable Care Act. Quote"It is near impossible that President Trump would select a nominee who isn’t hostile to our health care law and health care ... who isn't hostile to a woman's freedom to make her own health care decisions." 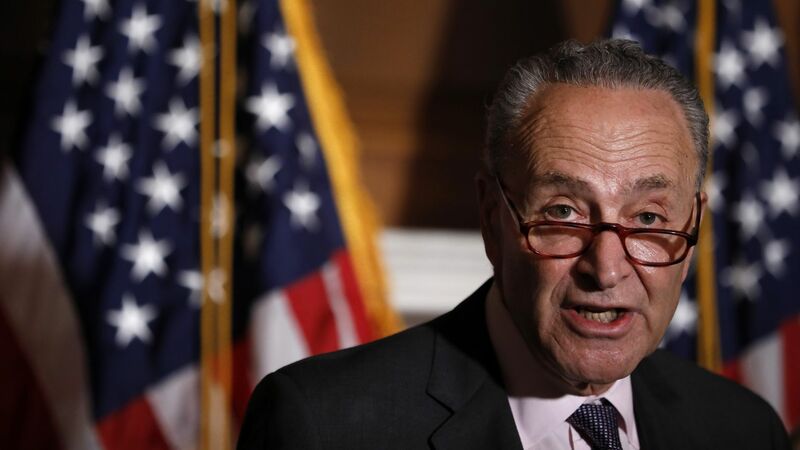 Schumer also used his address to swing at Leonard Leo of the Federalist Society — who helped craft and vet Trump’s list of judicial prospects — citing conservatives' longtime goal of overturning Roe v. Wade. The big picture: In describing how Kennedy's successor will have a crucial vote on a number of consequential issues, Schumer appears to be playing into a new Democratic strategy surrounding the SCOTUS debate, one which the party's leaders hope will energize their base ahead of the midterm elections. The other side: Senate Majority Leader McConnell (R-Ky.) later characterized Schumer’s remarks as "fear-mongering" and "far-left scare tactics." "Decade after decade, nominee after nominee, the far-left script hardly changes at all. Anyone and everyone of Republican president nominates to the Supreme Court is some kind of threat to the public."